“We released him on bail last night (Sunday) on humanitarian ground and asked him to report back today (Monday) at 10am." 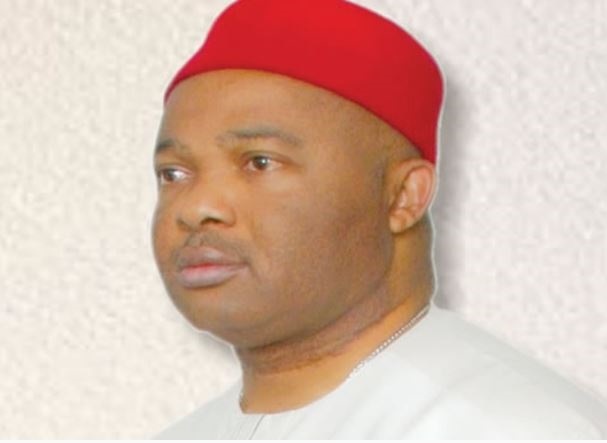 The governorship candidate of the All Progressives Congress in Imo State, Hope Uzodinma, can heave a sigh of relief. His freedom which was temporarily taken away from him on Sunday has been restored. Uzodinma was arrested by the Special Presidential Investigation Panel for Recovery of Public Property Sunday night over an allegation of failure to execute a contract of $12m for the dredging of Calabar channel for which he had been paid. The Chairman of the panel, Okoi Obono-Obla, said Uzodinma, who was arrested on arrival at the Nnamdi Azikiwe International Airport in Abuja from Lagos Sunday night, had been released on bail. Obono-Obla said the serving senator representing Imo-West was released on Sunday on “humanitarian grounds” on the condition that he would return to the panel for questioning on Monday. “We released him on bail last night (Sunday) on humanitarian ground and asked him to report back today (Monday) at 10am.